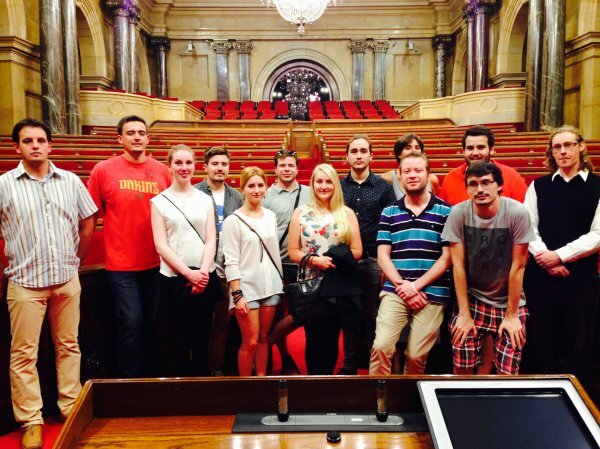 Barcelona, 10 September 2015 - On the eve of the Catalan National Day, and only two and a half weeks ahead of an important regional election in Catalonia structured to serve as a plebiscite, the European Free Alliance Youth (EFAy), Centre Maurits Coppieters (CMC), Ciemen (Centre Internacional Escarré per a les Minories Ètniques i les Nacions) and JERC (Joventuts d'Esquerra Republicana de Catalunya) convened a conference entitled ‘Democracy and European Emerging Values: The Right to Decide’. Building on previous successful cooperation on a series of conferences* on self-determination, UNPO partook in the initiative, speaking on a panel dedicated to exploring various aspects of self-determination from a legal, political, philosophical and practical point of view. Less than a year after Spanish Prime Minister Mariano Rajoy tried to prevent Catalonia from voting on the future status of the region, the question of Catalan independence has again reached international headlines, as the nation prepares for a vote structured to serve as a plebiscite on 27 September. The pro-independence bloc Junts pel Si has announced that should they win the election (as polls seem to suggest), a national transition process towards the declaration of a new Catalan state will be put in motion. Whereas Rajoy has called the Catalan nation’s quest for independence “non-sense”, Republican Congressman and Chairman of the House Subcommittee on Europe, Dana Rohrabacher, defended Catalonia’s right to decide its political future earlier this week, stating that he “see[s] no reason why the Catalan people should not be allowed to decide whether to be a part of Spain; like any other people, they have the right to decide”. In this heated context, the timing of the conference hit the nail on the head, bringing together academics, legal experts, practitioners, and above all youth representatives, to debate different meanings and perceptions of the concepts of self-determination and the right to decide. The event also served as an occasion to launch a groundbreaking book, bearing the same title as the conference and gathering contributions by young authors from 19 regions and stateless nations, among them Catalonia, the Basque Country, Corsica, Transylvania, Brittany, South Tyrol, Wales, Scotland, Cornwall, Flanders, Faroe Islands and Nagorno-Karabakh. During the morning session of the conference, four of the case studies presented in the book, each with a distinct approach to self-determination, were discussed. Christophe Bostyn drew attention to the Flemish top-down approach to self-determination, as compared to the grass roots movement that drives Catalonia’s bid for self-determination. His presentation was followed by Elsa Berg’s overview of the Faroe Islands’ problematic constitutional status and dependency on Denmark. Lilit Asryan then delivered an interesting speech on the empowering role of information and communication technology in the self-determination process of Nagorno-Karabakh. The last speaker on the panel, Morgan Horn, discussed the positive impact of the Scottish referendum in 2014, which has led to a more politically aware and engaged Scottish people, a landslide victory for the Scottish National Party (SNP), and has since quadrupled SNP membership. The afternoon session started with a comprehensive lecture by Dr James Summers on the position of the principle of self-determination in international law. He concluded that although referenda give legitimacy to, and enforce the political bargaining of independence movements, there is no provision in international law providing a legal right to self-determination as independence. Johanna Green, presenting UNPO’s view on self-determination, maintained that the concept should be understood in its broadest and most comprehensive sense, that can provide a wide range of possible outcomes dependent on the situations, needs, interests and conditions of concerned parties. 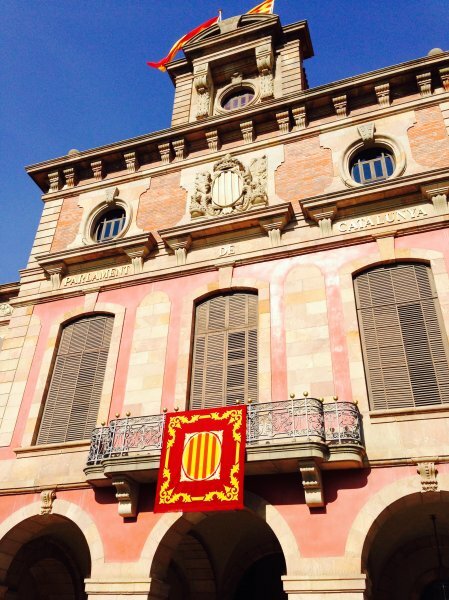 This view rejects a narrow focus on secessionism, and includes a variety of processes ranging from autonomy to devolution; from power-sharing to federalism in all its forms. What matters is that the free choice of the people seeking self-determination is respected. Last to take the floor was Josep Costa who put forth that international law does not mean anything unless the states that ought to apply it are just and fair. If a state does not accommodate cultural diversity, it might be just for a nation to secede from that state. Therefore, he argued, when we speak about self-determination, we should first define what a just and fair state is. Overall, the conference concluded that self-determination can take many different forms, and represents a process that is highly dependent on political circumstances, as existing provisions under international law pertaining to the principle remain limited and vague. In this context the role of youth in shaping the circumstances and in building the future should not be underestimated.